I'm excited for this one. Truly, wildly, and fanatically excited. Simply put, it's one of my favorite feature cars, period. I've written my fair share of features too. 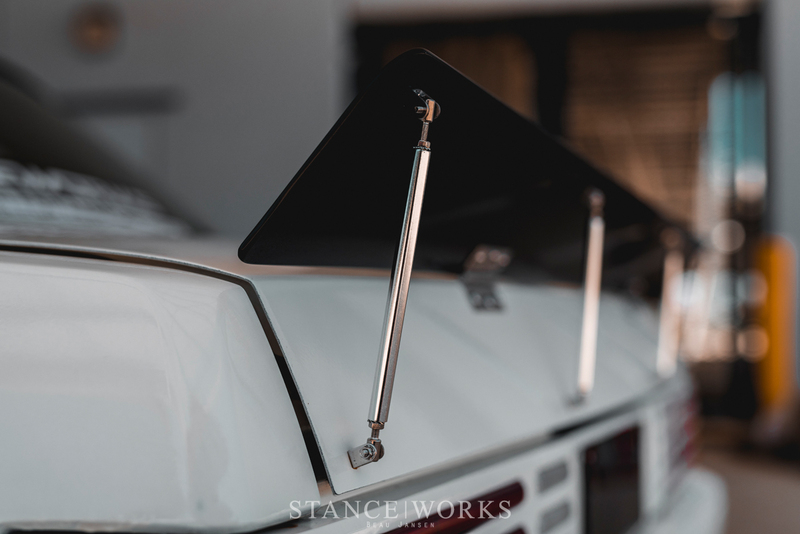 In fact, it looks like StanceWorks just recently crossed the 1,000-article threshold, which is a milestone worth in and of itself, and through those 1,025 articles, I can say I'm proud of every one, in one form or another: each is a story worth sharing. It's a true treat, though, to get this excited to share a car with the world. Now, I don't expect everyone to get this excited about Matt Bomer's 1986 Ford XF Fairmont Ghia. 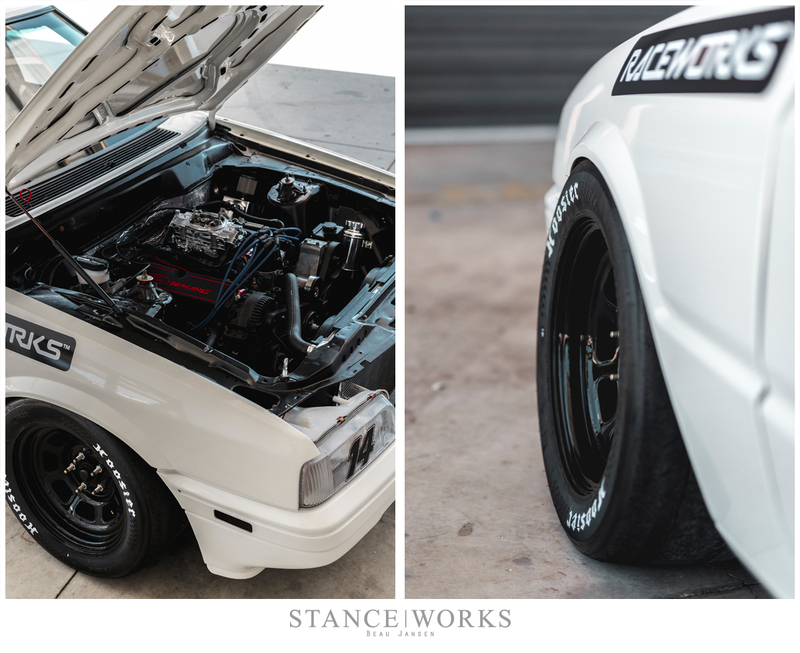 Either you're on board already, or you're scratching your head, wondering if once again, StanceWorks has gone off the deep end. For the latter, you're a lost cause: we'll catch you on the next feature. For those that see the light, though: let's get to it. Introducing one of the coolest cars I've ever seen. That's a bold statement, I know. I try to avoid hyperboles, and yeah, maybe I'm over-stating things a bit. Like I said: I'm excited. There's something about this car that speaks to me like few cars have, and truth be told, I'm a bit at odds to explain it. 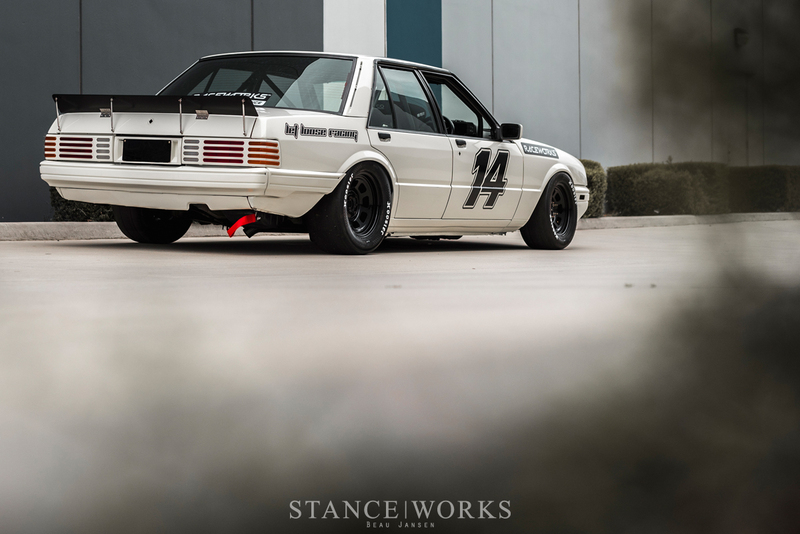 Fox Body Fords are, at best, a bit of a love/hate chassis. The Mustang, the most popular car based on the Fox platform, is of course the poster child, and even it gets mixed opinions as best. To be celebrating a four-door Australian counterpart is undoubtedly a bit off-in-the-weeds. 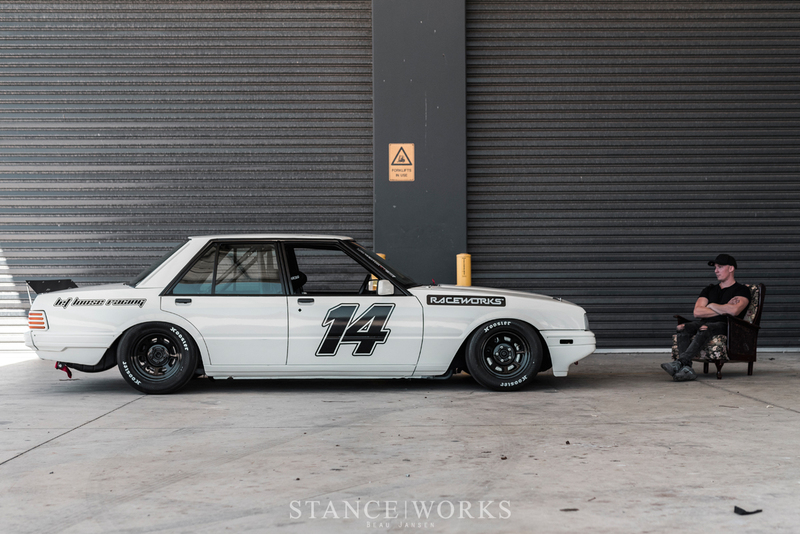 But tell me this: Have you ever looked at an Ford XF Fairmont and thought... "damn!"? You haven't before, and that's why were here. Because you're thinking it now, no doubt. For Matt Bomer, the man behind the machine, the story starts twelve years ago at the age of 16. The XF Fairmont was given to Matt by a cousin; the car had belonged to Matt's uncle, whom had unexpectedly passed away. Knowing Matt's love for cars, his cousin gifted him the XF for his 16th birthday. Seeking to rid himself of the constant reminder of his father's passing, Matt's cousin felt the car was in better hands with the enthusiast of the family. Humorously, Matt admits he only drove the car once. "It was horrible," he laments. 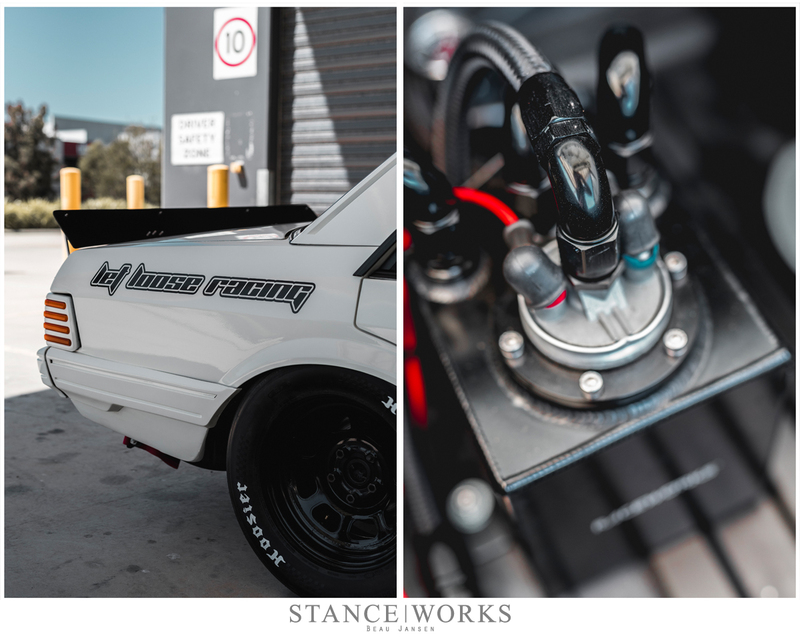 "The steering box had a ton of slop in it and next to no feel, the suspension felt like a boat on rough water and the original straight 6 was absolutely gutless." For whatever reason, though, he admits he loved it. It wasn't long before Matt's ambitions and plans for the car grew until the point that disassembly began. Initially, plans for a repaint, lowered suspension, and some fat tires fit for driving once he got his license were all that mattered. As projects typically go, though, Matt got carried away when pulling the XF apart for paint, and before he knew it, he was left with a rolling shell. There it sat, for 10 long years, as Matt mulled over what to do with the project. Admittedly, few people Matt's age - now 28 - keep a rolling shell for an entire decade and manage to follow through with the build. Over time though, one thing became certain: Matt wanted to build a race car, and the motivation behind that concept kept the project moving forward, albeit quite slowly. Initially, his desire to build a race car didn't include the XF as his platform. It wasn't until he made a weekend trip to a historic race event at Philip Island to see the VicV8s race that XF returned to the picture. "After poking around the pits for a while and talking to some of the category organizers, I quickly realised I could probably build the car to suit this category, and it might actually look quite nice and after time, be competitive." He was unquestionably right. 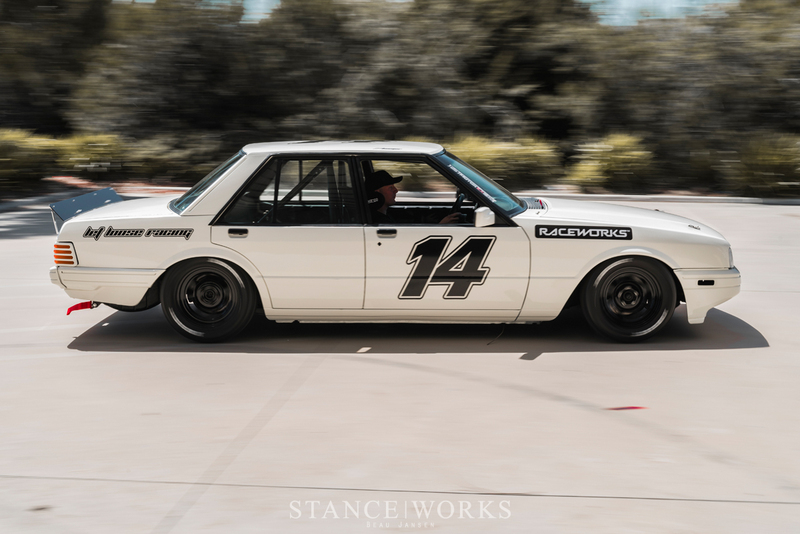 The XF Fairmont, a luxury model of the famous Ford Falcon, is the only model of Falcon not to be raced in Australian Touring car history, so it's a bit atypical, to say the least, for Matt to have turned it into a classic racer. The only real racing action the XF Falcons saw was in the Aussie series called AUSCAR, a lower level of NASCAR for Australia. Nevertheless, Matt had confidence that the XF could play the part, so he turned to the Trans Am series for inspiration. He nailed it from the onset: "I truly believe in is as much as a race car needs to be fast, it really needs to look a certain way, too. After all, this is a spectator sport." A proper wheel and tire package is where Matt began. He turned to Bassett Racing for NASCAR-spec wheels, and wrapped them in Hoosier slicks, measuring out to 245/55R15 in the front and 275/50R15s for the rear. "The wheels and tyres are something I thought about a lot. You can have the best engine with the best paint and trim, but if the wheels, offset and tyres aren’t right the, whole car just won’t look right," he insists. Hiding behind the wheel and tire package, things pick up in pace, and a peek under the car reveals that Matt isn't just playing dress-up. Old school Koni adjustable shocks have been re-shimmed for track use and paired with K-Mac springs. R33 skyline calipers and RDA slotted rotors with Project Mu pads are a special project of Matt's at the moment, and out back, the car sports a slew of old and new Falcon parts that yield a useful track setup. Popping the hood reveals some serious fun. A 2002 Ford Falcon XR8 provided its roller-cam 302 Windsor with GT40P heads as the basis for the drivetrain. 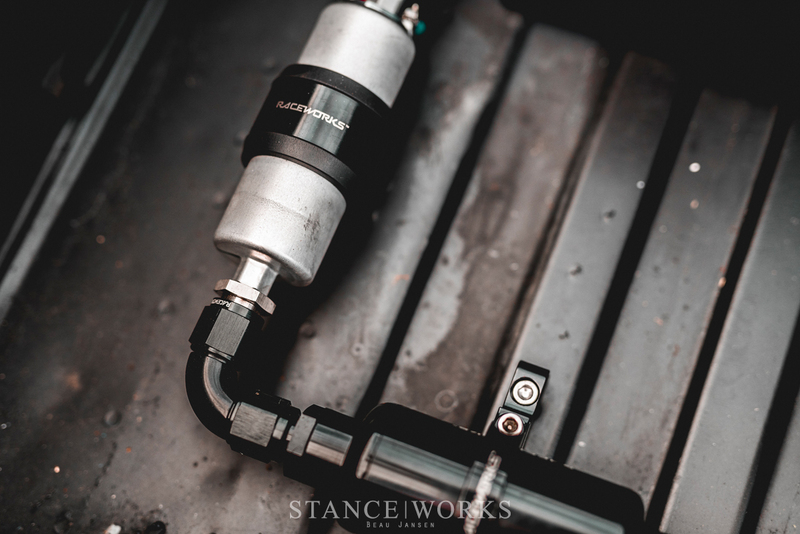 An E303 cam, Scorpion race-series roller rockers, Trick Flow valves, and an upgraded sump system all work in unison to provide power and reliability. Matt scrapped the EFI in favor of a high-rise manifold and a 650 Holley carb. Pacemake headers and a custom 3-inch twin exhaust pump pipes the sound out and dumps the fumes just before the differential. 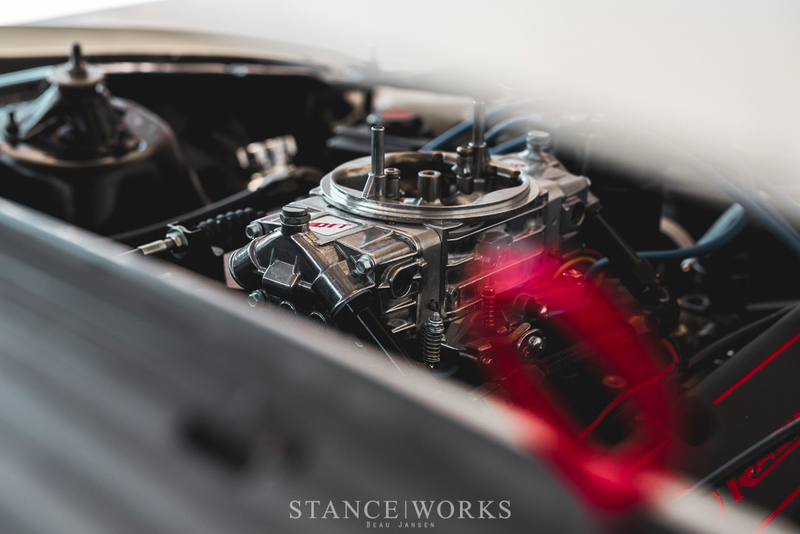 RaceWorks handled the car's fuel system needs, which includes a swirl pot and upgraded pumps for the car's on-track demands. 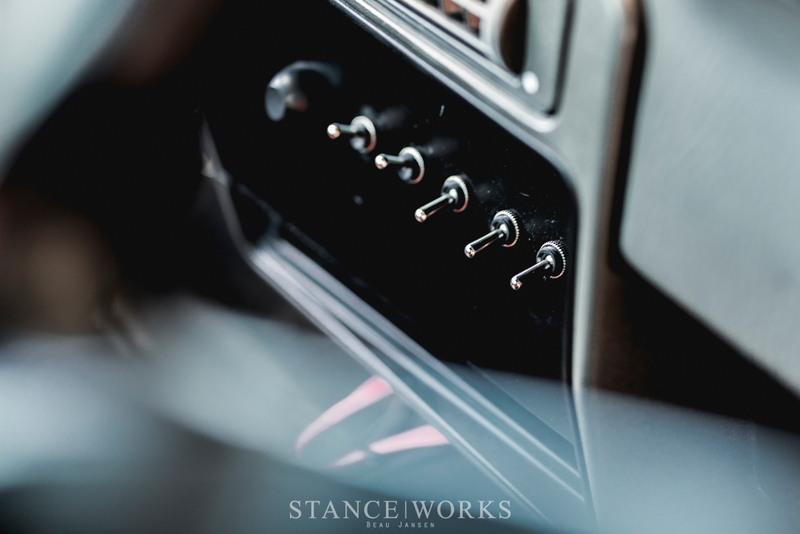 Matt kept things simple inside the car: everything standard apart from the dash has been nixed. 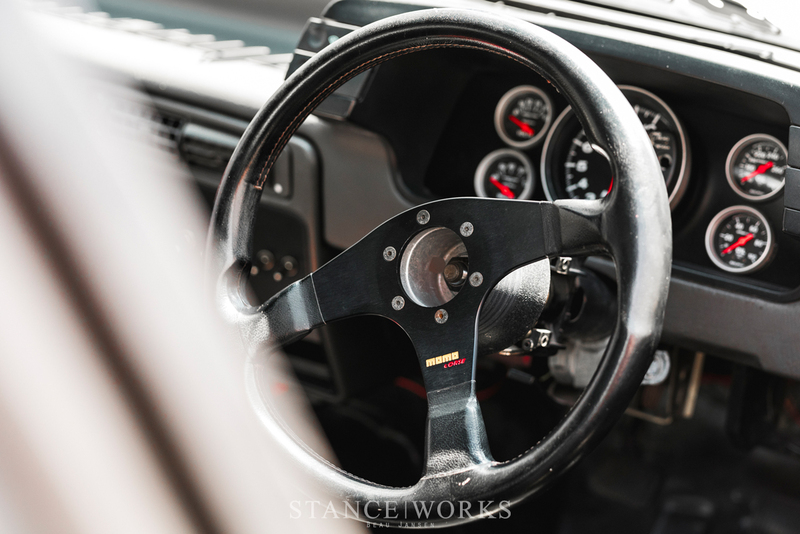 It was important, in his eyes, to keep the interior bare-bones, so all luxuries have been stripped, and in their place, you'll fix a full roll cage, a wrap-around race seat, and a Momo steering wheel. 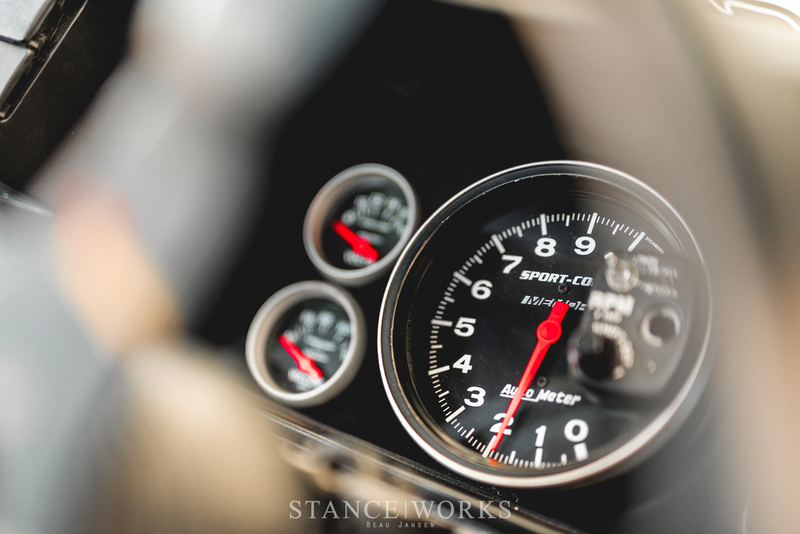 An Autometer set of gauges finished out that "raw" interior feel, keeping Matt in touch and tune with what's going on under the hood at any given moment. Lastly, that brings us to the exterior. While the exterior of the XF Fairmont is simple, it's easily my favorite part. It balances an ethos of understatement with an in-your-face statement of exactly what the car intends to be. Initially, Matt planned on painting the car flat white, but luckily for us, it came out more cream than anything: a wonderful mistake. Inspired by the likes of Days of Thunder, the door numbers and the few small logos ensure the car has a bit of vintage NASCAR flair, without giving way to a full-blown livery.